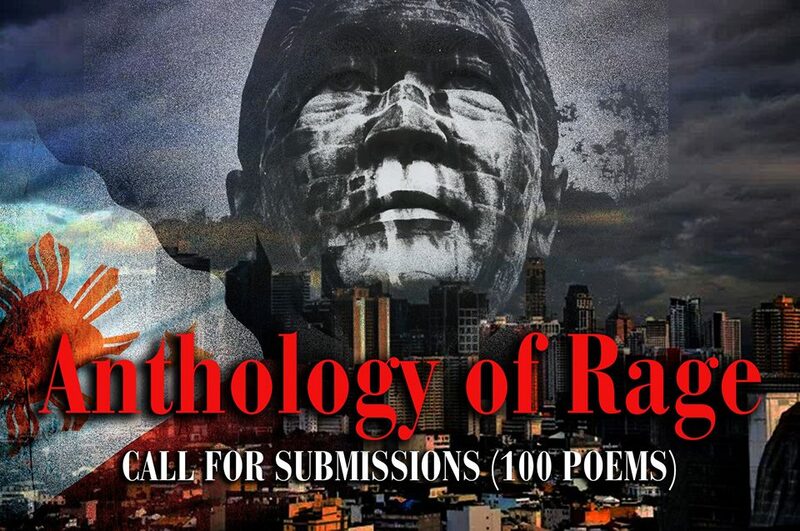 The Intersections & Beyond: Call for Submission: "Anthology of Rage: Marcos No Hero"
Call for Submission: "Anthology of Rage: Marcos No Hero"
Call for submissions for the "Anthology of Rage: Marcos No Hero" is officially open. Announcement of accepted works/authors will be one (1) month after the call for submissions ends midnight of 30 January. A). Please email your submissions in MSWord file, font 12, Arial, no fancy formats. B). The editors prefer new and unpublished works. C). Please indicate full name (real name, no pseudonyms, please), professional designation, if any, age, etc. D). Please include a title for your work. E). On email SUBJECT, please write SUBMISSION FOR ANTHOLOGY OF RAGE MARCOS LNMB. F). Works should be in either English or Filipino. For submissions in Tagalog, Cebuano and other languages, no translation necessary. G). Minimum of one (1) to maximum of three (3) poems, but only one will be chosen. All three poems should be submitted in one (1) file. H). Keep each poem under one page. Don't want you writing an epic. There will be no cash payment for the poems. Here's wishing we can get enough of this published so we can give you a copy of the book.